What is the minimum age requirement for volunteers? Applicants must be at least fourteen years of age. What types of positions are available for volunteers? Here are some examples of tasks that volunteers are involved with: Adopt-A-Shelf, newspaper clipping, children’s programs, Visiting Library Service, Interlibrary Loans and retrieving and filing holds. What happens to my application form once I’ve handed it in? Your application form will be placed in a central file for future consideration. A volunteer supervisor will attempt to contact you to let you know your application has been received and directed to the appropriate file or person for consideration. How long do you keep application forms on file? Volunteer application forms are kept on file for approximately six months. Do you place all interested volunteers? Unfortunately we cannot place all interested volunteers. We have a limited number of volunteer positions available. Can volunteers work at the McCormick Branch or the John M. Harper Branch? 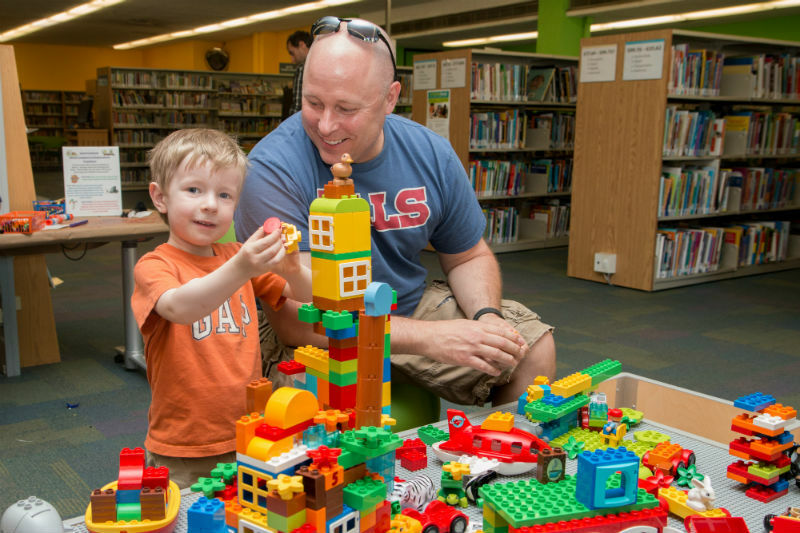 Yes, volunteers work at all locations of the Waterloo Public Library. When volunteer positions are open, descriptions will be posted in-house and on the website. Do you accept students as volunteers so that they have an opportunity to complete Community Involvement hours that are required for high school graduation? Yes, we are happy to accept students wishing to complete their forty hours of community involvement. We cannot guarantee a placement but students are welcome to submit an application form. Yes, we do ask that you provide contact information for three references. Is a police check necessary in order to volunteer at the Library? A police check is required for volunteers that work with vulnerable children and seniors. Is transportation a requirement of any of the volunteer positions? Access to a mode of transportation is recommended for positions that require volunteers to travel with large amounts of library material. Will there be orientation and training sessions if I am accepted as a volunteer? Yes, a volunteer supervisor will give you an orientation to the Library and you will receive the necessary training in order for you to perform your volunteer task. If a volunteer is placed in a position, is there a probation period? Yes there is a probation period. The duration of the probation will vary between positions. Is any special car insurance required for any of the volunteer positions? Volunteers that provide Visiting Library Service are asked to verify that they have car insurance but no special coverage is required. Are volunteers reimbursed parking or mileage fees? The Library does not pay mileage fees. Parking permits are available to volunteers while they are at the Library performing volunteer tasks.